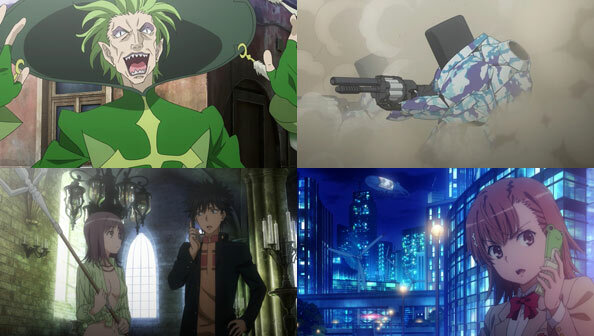 I realize Index is shounen, and a lot of chatter and explanation of tactics is par for the course, but by God there seemed to be a lot of it this week! Much is made about Terra of the Left’s “Precedence” ability, but as a member of the Right Hand of God, neither his presence or his abilities evoke terror. One big problem is it just takes so goddamn long for him to spit out the various incantations that give one thing (like flour) precedence over another (stone, metal, flesh, etc.). Terra’s seiyu is the venerable Ootsuka Houchuu, but saddling the old man with explaining his attacks and making him say “Precedence: X higher, Y lower” every time he attacks just slows the battle way down to the point where when he gives Touma and Itsuwa “ten seconds” to attack or run, I had to laugh out loud; Dude, you’ve given them over half an hour! Touma and Itsuwa eventually end up with Tsuchimikado, but only for a hot minute, as they split up again so he can face down some of the invading Academy City Powered Suits. Again, much of the battle is spent with him talking, explaining how he’s going to bring the suits down. Two other weird little details: when Touma calls Misaka to ask if Avignon’s in the news (which it most definitely is), they didn’t bother to add a “phone filter” to Misaka’s voice, making it sound like she’s there in the Papal Palace with him. Not only that, for a kid who can’t always afford food, he’s racking up quite an international call charge leaving his phone on the hook! If it sounds like I’m nitpicking, well, I am, but only because the show is so consumed with explaining every, attack, effect, and motive, it all kinda ends up muddling together into a gray mass that makes it easy to be distracted to the little things like the sound Misaka’s voice or Touma’s phone bill. And at the end of the day, Terra and his attack just aren’t that impressive; certainly not as much as Imagine Breaker (even though Touma either forgot its true power or wants confirmation from Terra). Touma punches Terra a couple times, and then destroys the Document of C when he touches it with his right hand. Back in the Tower of London, Lidvia continues explaining how the Right Hand of God wants to not only gain the power of angels, but gain equivalency with God himself and even surpass him. Such a lofty yet abstract goal is akin to Jafar’s final wish to the Genie in Aladdin: becoming an all-powerful genie. Sure, you can juggle planets in your hands, but to what end? At what point do you have enough power? I’m not sure, and neither is the show. 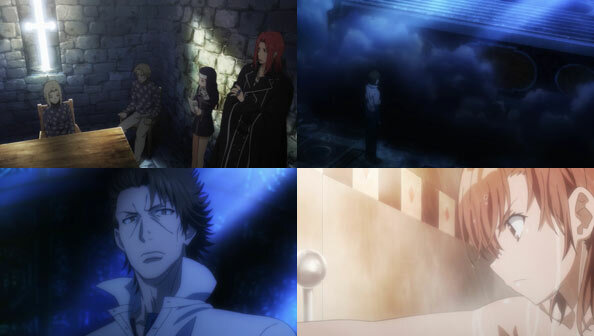 The Right Hand of God are simply Bad Guys, and Touma, Misaka, Itsuwa, etc. are the Good Guys. Spending the better part of two episodes on Terra feels even more pointless when we learn the RHG isn’t even really a united force; after having a chat with Terra, Acqua rips a column of the vatican off its mounts and crushes him with it. Besides being a needlessly destructive way to kill someone, it was also a “twist” that had absolutely no effect on me. Acqua is an even more boring dude then Terra, who at least had a certain joie de vivre about him. Meanwhile, the second straight episode ends with Misaka just hanging out in her dorm, doing nothing. Not a rousing start! ACMI is one of those shows where you either enjoy it’s regular tropes or you don’t. 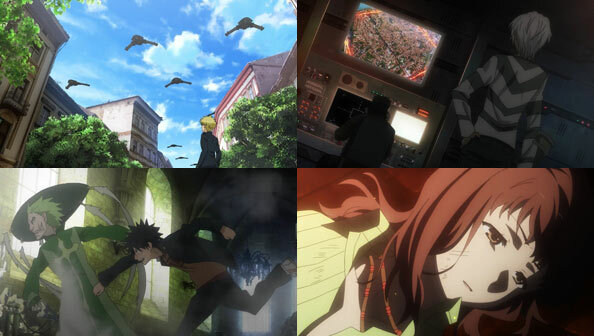 I enjoyed Touma knocking out old gabby Terra as we knew he would, playing out the ACMI world’s central theme, the battle between Touma’s (and the other key protagonists) humanism versus either scientific or magical/religious extremism. Terra had to expound his motives so Touma could cut them down, which he dutifully did. The problem was Terra’s motivation barely made sense even for a religious extremist. Acqua killed Terra because he disapproved of his amoral “end justifying the means” attitude led him to experiment on adults and children which offended Acqua’s sense of right or wrong. Acqua is a saint which means he is both hyper-powerful (in the same way the show’s other saint, Kanzaki Kaori is) and very moral within his world-view. I can see him in future episodes possibly objecting to the Catholic Church’s dodgy tactics too. I agree though he doesn’t look like he is going to break out into a stand up comedy routine any time soon. Terra’s burbling about Touma’s real power etc is intriguing and is pointing to this being an important plot theme this season perhaps. In season One Touma is introduced as is with no explanation as to how he got his Imagine Breaker, and of course he loses his memory soon after that. That alone will keep me watching to the show’s conclusion. Well-reasoned thoughts as always, Kuma! I will keep them in mind for the next episode. I think I was just bored with Terra and the Avignon trip this week. At least 50% of the villains Touma confronts are stereotypical hapless cacklers like Terra but for me that’s been balanced by characters like the fanatical assault nuns, the aforementioned Lidvia Lorenzetti, Oriana Thompson, and of course Accelerator. I find that doesn’t matter that much because much of ACMI appeal is about what goes on around Touma’s various heroic struggles more than the struggles themselves. His attempts to manage Misaka’s tsun ambivalence, his domestic struggles with Index, and a host of strongly written often comedic side characters is what give ACMI its real appeal. Previous Previous post: Bloom Into You – 03 – Too Kind, or Just Normal?